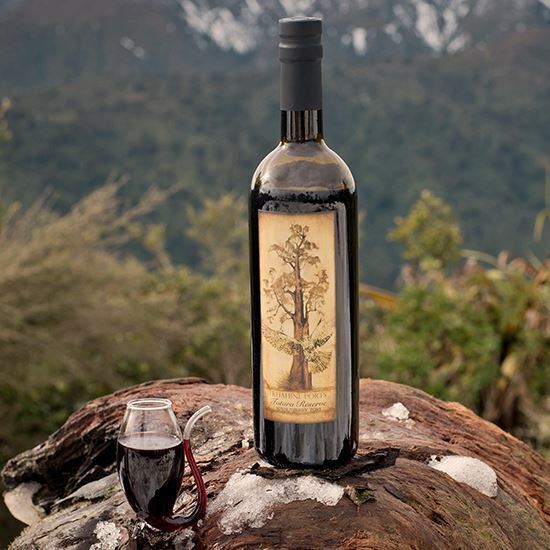 Mountain Totara perfectly suits the boysenberry because of its chocolate and smoky aromatics. We are not your typical NZ winery. We love aging our Reserve ports with NZ Native wood because once charred and smoked the wood infuses our best quality port with its own characteristics. Our son Ivan from the age of three has released his pyromaniac passion in a unique manner. We place the trays with Totara strips onto Totara embers then Ivan makes the call when the charring is perfect.